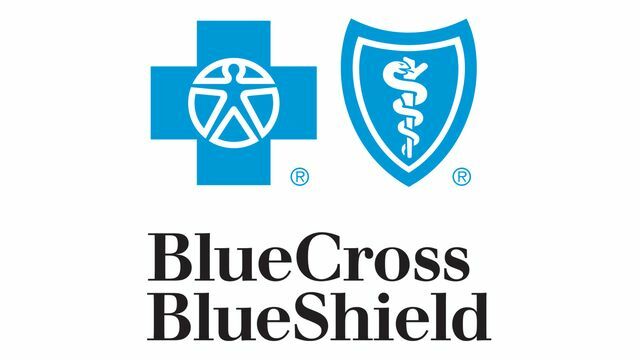 Blue Cross Blue Shield is one of the largest health insurers in the USA. 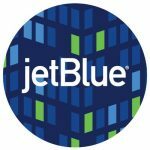 Blue Cross Travel Insurance customers typically get pushed to Blue Cross Travel Insurance subsidiary, GeoBlue. 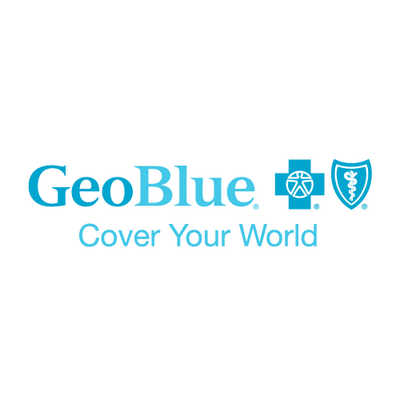 GeoBlue is recommended for longer trips, and where Blue Cross Travel Insurance is not embedded in the local Blue Cross Plan. However, as we cover in our GeoBlue article, GeoBlue is of no use to older travelers, as cover levels are heavily reduced, then removed entirely. The Blue Cross Travel Insurance system is a little confusing. Our primary advice is – please check with your local Blue Cross Blue Shield provider in order to understand whether you have Blue Cross Travel Insurance cover when you travel overseas. Most people will not have cover, or will have insufficient cover to protect them adequately. 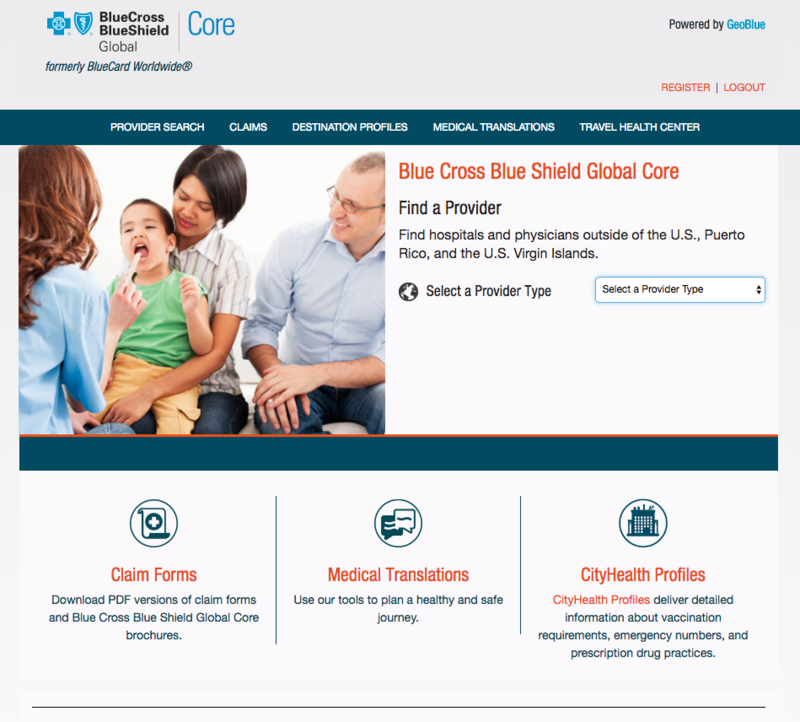 Blue Cross does have an extensive network of doctors and hospitals that can be accessed via the Blue Cross Global Core site. Please note that although Blue Cross Travel Insurance refers to the medical support that Blue Cross offers its members overseas, the system is not clear. Some Blue Cross Blue Shield Plans offer medical cover to support in the event of an emergency situation. But, each plan is different, with different cover levels. It is vitally important that travelers do not think that they have Blue Cross Travel Insurance when they do not. You must check with your policy provider and understand the type of cover you have. We recommend no less than $100k of Travel Medical Insurance when traveling overseas. Most US health insurances offer no cover outside the US. Those that do will often have incredibly high co-pays or significant limitations of the level of cover. Do remember that the U.S. State Department will not offer any financial support to a US citizen or resident who is treated overseas. Medicare does not function overseas. Some Medigap policies offer medical cover overseas. But, it is only very limited cover – a $50k lifetime limit, with a 20% co-pay. You must buy strong medical cover when heading overseas to protect yourself from significant financial risk. Moreover, you must ensure that you have adequate Medical Evacuation cover in any travel insurance quote that you get. When traveling close to a major international center, $100k of Medical Evacuation insurance is sufficient. If traveling more remotely, $250k is the minimum level of evacuation cover that we ever suggest. 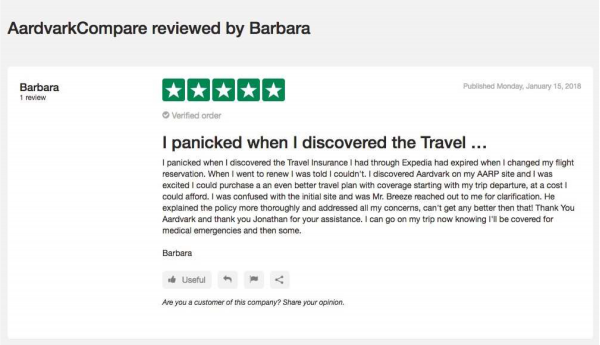 Please check, sometimes the best-rate trip insurance offers inadequate cover for international travel, and has been designed to be used for domestic travel. If Blue Cross Travel Insurance does support you with sufficient cover overseas, do please check any restrictions on Preexisting Medical Conditions. Any new medical condition, change of condition, or new medication will normally mean that this condition is excluded from cover. The length of time that a medical insurer can ‘Look Back’ to find a medical condition to exclude can vary from 60 days (good) to 180 (days) bad. The best travel insurance will offer a waiver of any medical exclusion so as to bring that particular condition back into cover. If you want a Medical Exclusion Waiver embedded into your travel insurance policy then buy travel insurance quickly after your initial trip deposit. There is a ‘Time-Sensitive Period’ in every trip insurance that includes a waiver. This is the time from when you first make a payment towards a trip to the time you buy trip insurance. If you buy trip insurance within the Time-Sensitive Period (normally between 14 and 21 days), the waiver is granted. You now have cover for your preexisting condition. Do remember that this Medical Exclusion Waiver is included in the rate that is quoted when you shop for travel insurance. You are not charged more for the Travel Medical Waiver – it is an included benefit for those who buy travel insurance quickly after their first trip payment. Please check with your local Blue Cross Travel Insurance provider to understand what is and what is not covered under any plan that they offer you. The BlueCross BlueShield Global Core Mobile App is a valuable resource to have with you when traveling overseas. It can help find doctors, translate medical terms, and access emergency information. Think of it as a sanitized version of Google Translate. Providers such as doctors, hospitals and pharmacies are listed in an easy drop-down system. However, just because a site says it will do something doesn’t mean that it has any useful functionality. 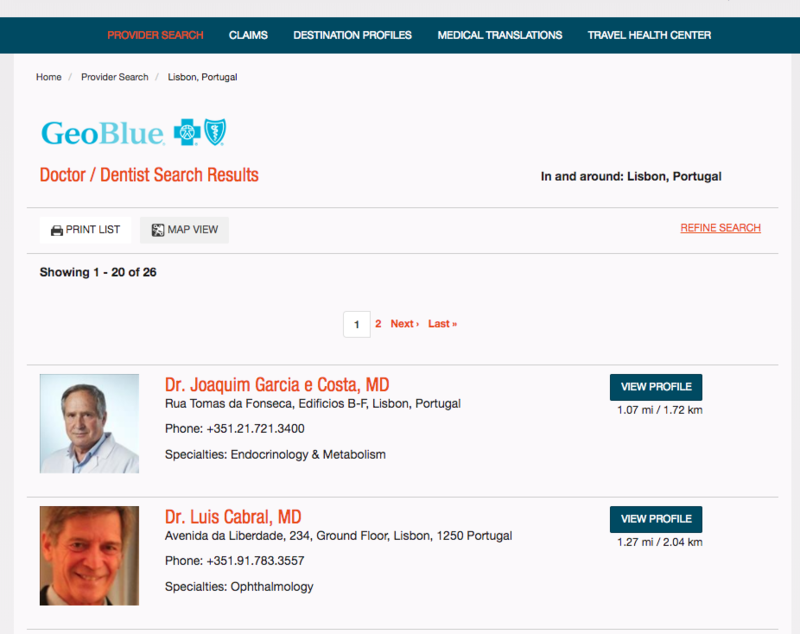 We searched for Doctors/Dentists within 30 miles of Lisbon, Portugal. Now, we know that there are literally thousands of doctors and dentists within 30 miles of Lisbon. Lisbon is the capital of Portugal, and the greater Lisbon area is home to over 3 million people. 25 doctors were found on the Blue Cross site, and one dentist. The majority of the doctors that were available to us work at three clinics where they are specialist surgeons. Whilst it is nice that Blue Cross Travel Insurance has many surgeons in Lisbon who specialize in Endocrinology & Metabolism, it would be much more useful if there were doctors who specialized in General Practice and Family Medicine, of which there are none. Whichever travel insurance you buy, do know that each Travel Insurance Carrier will have its own in-house or contracted Emergency Assistance company. The job of the Emergency Assistance team for any travel insurer is to provide expert help when you need it. They will have their own people on the ground, as well as sub-contracted specialists. There will be a medical network available, and medical translation should you need it. Although it is nice that Blue Cross Travel Insurance provides resources for its customers who are overseas, remember that a team of people is ready to help you, 24/7. You do not need to get emergency support on your own. Indeed, we recommend that you do not get emergency support on your own – get help. You will have a 24/7 international access number to call should anything go wrong. Whether it is a lost passport or a serious accident, let the Emergency Assistance company help you. Every US Travel Insurance Carrier should have robust emergency assistance – please, let them help you when you are in trouble. 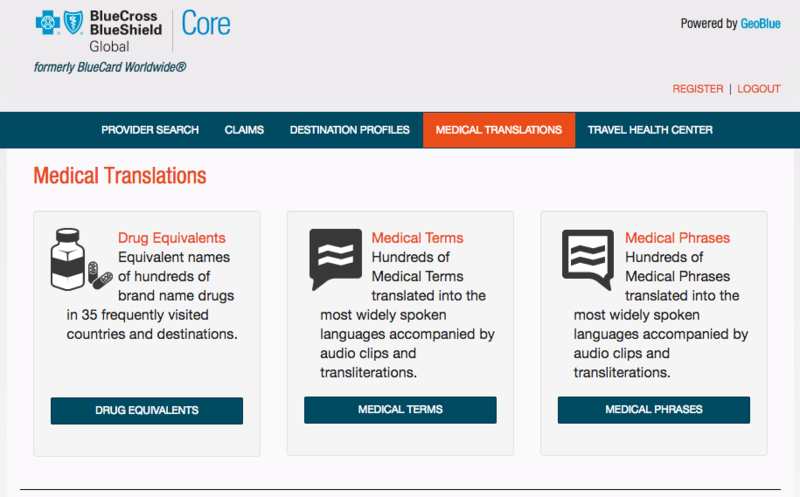 We like the Medical Translations section in the Blue Cross Trip Insurance App, and can see that this can be of great use to a traveler who wants to ensure accuracy of medical translation. Certainly, this can be helpful at a pharmacy or a local clinic. Equivalent names of hundreds of brand-name drugs in 35 frequently visited countries and destinations. Hundreds of medical terms translated into the most widely spoken languages accompanied by audio clips and transliterations. Hundreds of medical phrases translated into the most widely spoken languages accompanied by audio clips and transliterations. Certainly this covers the majority of language systems that a US traveler would typically encounter. Note that these resources do not require a customer to buy Blue Cross Travel Insurance – these are available to all Blue Cross customers via a simple log-in. The search function is not intelligent, so it may be necessary to do a line-by-line search for the phrase you need. The search term of ‘deaf’ does not return results, whereas ‘hear’ does give a number of alternatives. Always carry your current member ID card. Before you travel, contact your Blue Cross and Blue Shield (BCBS) company for coverage details. 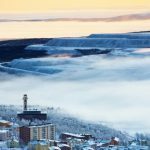 Coverage outside the United States may be different. If you need to locate a doctor or hospital, call the Service Center for Blue Cross Blue Shield Global Core. An assistance coordinator, in conjunction with a medical professional, will arrange a physician appointment or hospitalization if necessary. If you need inpatient care, call the Service Center to arrange direct billing. In most cases, you should not need to pay upfront for inpatient care except for the out-of-pocket expenses (non-covered services, deductible, co-payment and coinsurance) you normally pay. The hospital should submit the claim on your behalf. Of all the pieces of advice that Blue Cross Travel Insurance offers, the second is by far and away the most important. It is critical to establish as to whether you have strong travel medical insurance from Blue Cross in your personal insurance plan. Talk to Blue Cross directly, and ask them to direct you to the specific part of your policy document that refers to trip insurance. Make sure that you understand the cover levels that are available to you. 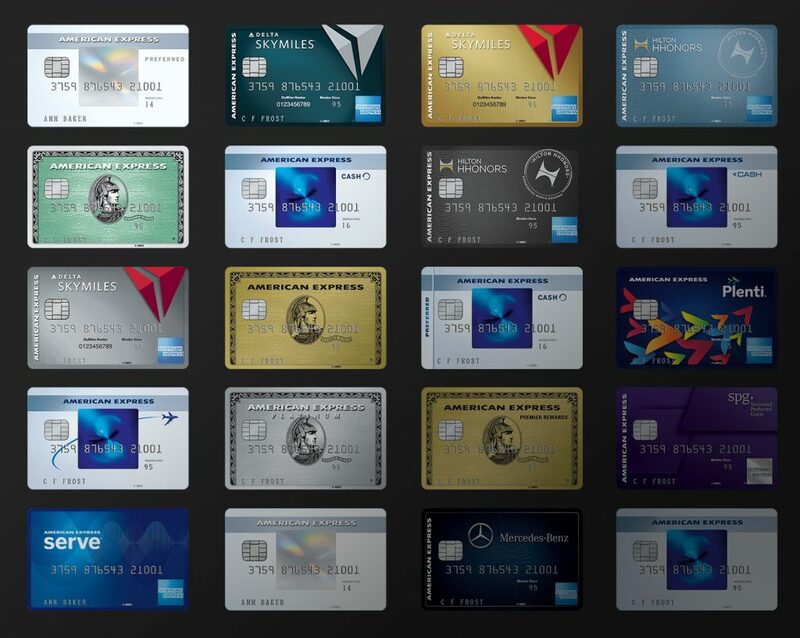 Check to confirm what levels of co-pay are required, if any. As an aside, in regular travel medical insurance, no co-pay is expected of the traveler, so treat co-pay and deductibles from Blue Cross with caution. Finally, be certain that you understand how Blue Cross Trip Insurance deals with Preexisting Medical Conditions. We care about their definition of a Preexisting Condition. We need to know how and why the medical condition could be excluded from cover. And importantly, we must find out how to get a waiver granted to bring the preexisting medical condition back into cover. 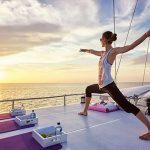 Remember that the majority of comprehensive trip insurance plans that you can buy in the wider market will offer a Waiver of Preexisting Medical Condition. So, do not feel that you have to take inadequate cover if Blue Cross Trip Insurance cannot help you overseas. Blue Cross Blue Shield is an excellent medical insurer. 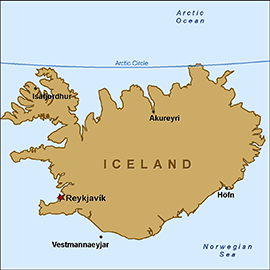 The Blue Cross Travel Insurance provided for international travel by GeoBlue is adequate, but expensive. The level of medical cover provided overseas by your Blue Cross Travel Insurance, embedded in your local plan, will vary on a plan-by-plan basis. Please take the time to understand the strengths and weaknesses of what Blue Cross Trip Insurance provides before you rely on it. $100k of Travel Medical Insurance is the minimum we recommend for international travel. $100k of Medical Evacuation cover is the absolute minimum an international traveler should take. Ideally, both of these cover types should have no co-pay or deductible. Preferably, the cover should be Primary Insurance – the Travel Insurer should pay first, and should arrange direct payment with the medical provider. AardvarkCompare is the world’s leading Travel Insurance Marketplace. 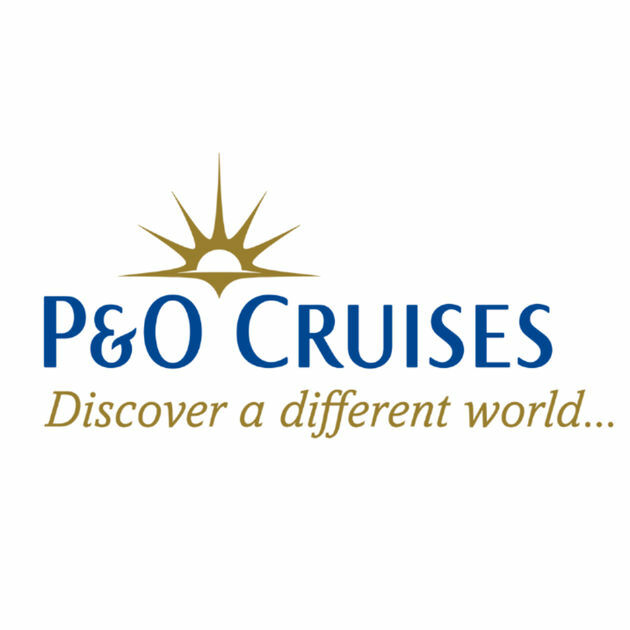 You will find a range of travel insurance options for your next trip. We compare the travel insurance market so that you see trip insurance plans from the leading travel insurance carriers in the USA. And, because of the strict anti-discrimination law that protects travel insurance customers, we can guarantee that you will not find the same travel insurance plan at a lower price. A Travel Insurance quote can be run in seconds, and allow you to compare the level of cover from the best travel insurers versus the coverage offered by Blue Cross Travel Insurance.